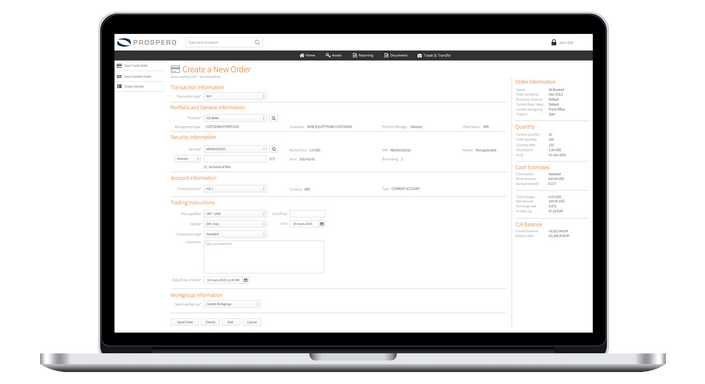 Prospero Mobile App is a versatile multi-channel platform, which has been designed to be accessed anywhere: tablets, mobiles or laptops offer the same accessible interface. 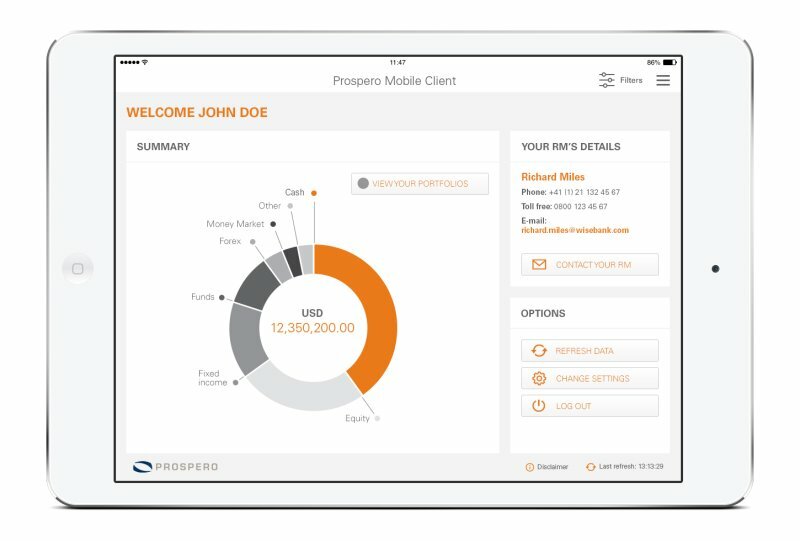 Prospero Mobile App provides your customers with a unique digital experience. Our solutions have drawn their inspiration from best-in-industry B2C applications to offer each individual customer the transparent and tailored investment advice they require, through a customizable multi-channel solution with a sleek interface. 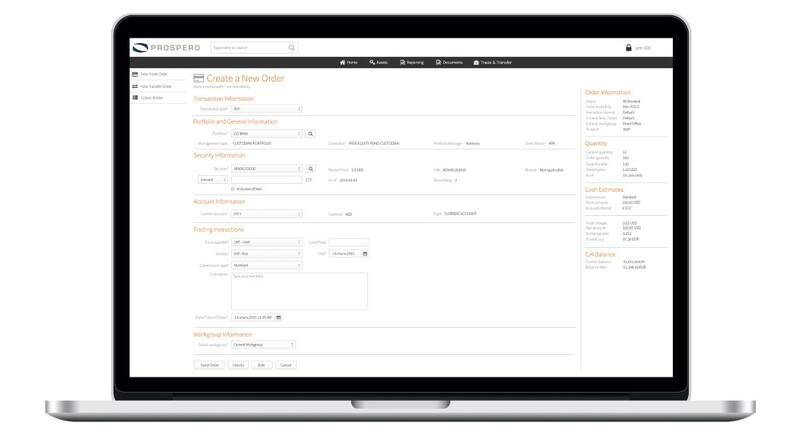 Prospero’s Insight feature gives customers access to up-to-date and relevant industry-leading news and enterprise strategy (investment products / strategy) articles. You can predefine where the articles are sourced from, based on the sectors most relevant to you or even contribute your own. Notifications with easy-to-digest summaries of the articles you want to read are just one of the features of your personalized news service. 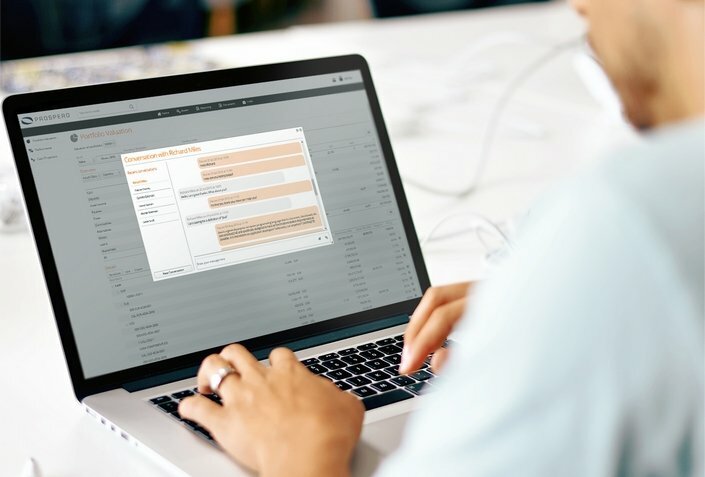 What Insight equates to is a unique, user-friendly module which offers your customers access to news and communication in the way they like to consume it. Its introduction means that promotion has never been so relaxed, allowing you to link your communication to specific investment strategies, select relevant market materials and just push your articles to the right channels. Our digital customer solutions have drawn their inspiration from the most renowned B2C applications. We have thus incorporated a Fund Store to propose your current investment funds to customers, according to their investment profile (KYC / AML) and preferences. 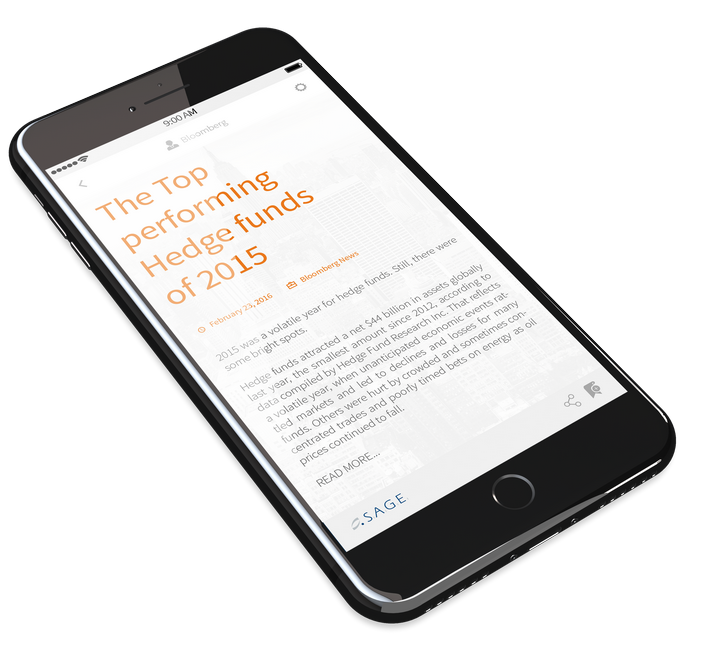 Subscribing to a fund has never been so effortless for a customer.